Founded in 1977, U.S.-based Gregory is a leading provider of premium technical backpacking, mountaineering, and trail running products and accessories. HONG KONG – Samsonite International S.A. (“Samsonite” or the “Company”) today announced that it has agreed to acquire Gregory Mountain Products (“Gregory”), an iconic technical outdoor backpack brand, from Black Diamond, Inc., for US$85.0 million in cash, to be financed by Samsonite’s internal resources as well as its revolving credit facility. The acquisition provides a perfect complement to Samsonite’s High Sierra product offering and significantly broadens the Company’s presence in the outdoor category. The transaction is subject to certain closing conditions and expected to close in late July 2014. The Company also announced today that it has increased its existing Revolving Credit Facility from US$300.0 million to US$500.0 million, giving it greater financial flexibility as it continues to evaluate acquisition opportunities globally. Founded in 1977, U.S.-based Gregory is a leading provider of premium technical backpacking, mountaineering, and trail running products and accessories. A pioneer in its field, Gregory is well-known for setting performance standards in terms of the innovative design, ergonomics, high quality and durability of its products. Among its many achievements, Gregory led the industry in offering backpacks with a range of different frame sizes, waist belts and shoulder harnesses designed to provide an ergonomic and comfortable fit for both male and female consumers. It also pioneered a waist belt system that automatically adjusts to the angle of the user’s hips in order to improve comfort while carrying weight. As part of its offering, Gregory markets a collection of lifestyle bags inspired by its design heritage and California roots that are particularly popular in Japan and elsewhere in Asia. For the year ended December 31, 2013, Gregory’s revenue increased approximately 14.3% to US$34.9 million from US$30.6 million in 2012. Technical backpacks and accessories accounted for 72.3% of Gregory’s revenue in 2013, while lifestyle backpacks and accessories accounted for the remaining 27.7%. North America accounted for 35.5% of Gregory’s 2013 sales, while Japan and the rest of Asia accounted for 36.3% and 16.9% respectively, with the rest of the world taking up the balance. This is Samsonite’s third strategic acquisition in 2014. The Company announced at the end of May that it had acquired Speck Products, a leading U.S. designer and distributor of slim protective cases for personal electronic devices, and in April that it had acquired Lipault, a youthful French luggage company known for its functional and fashionable products. 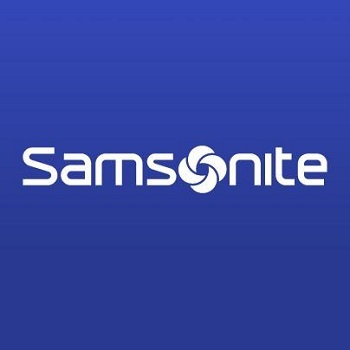 As Samsonite continues to evaluate further potential acquisition opportunities that offer both a compelling strategic and financial rationale, the Company has increased its existing Revolving Credit Facility from US$300.0 million to US$500.0 million, and extended its term from three years to five years, effective from June 18, 2014. This larger facility gives Samsonite additional financial flexibility and capacity to pursue further acquisition opportunities as and when they become available. Samsonite International S.A. (together with its consolidated subsidiaries, the “Group”) is the world’s largest travel luggage company, with a heritage dating back more than 100 years. The Group is principally engaged in the design, manufacture, sourcing and distribution of luggage, business and computer bags, outdoor and casual bags, and travel accessories throughout the world, primarily under the Samsonite®, American Tourister®, High Sierra®, Hartmann®, Lipault® and Speck® brand names and other owned and licensed brand names. The Group’s core brand, Samsonite, is one of the most well-known travel luggage brands in the world.